One of the distinguishing features between my adult boxers and my kids' boxers is the lack of a functional fly. Number one, what's the point? Especially in the smaller sizes, its inclusion would range from "absurd" to "wishful thinking". Number two, it offers the maximum versatility for kids' use: they can be boxers, they can be shorts, they can be pajama bottoms, they can be swim trunks, they can be a hat... you never know what's going to happen. I make all of my products in a smoke-free home, I only use woven 100% quilter's quality cottons, I prewash all fabrics before I cut so the finished garment stays true-to-size, and all interior seams are finished by serging. 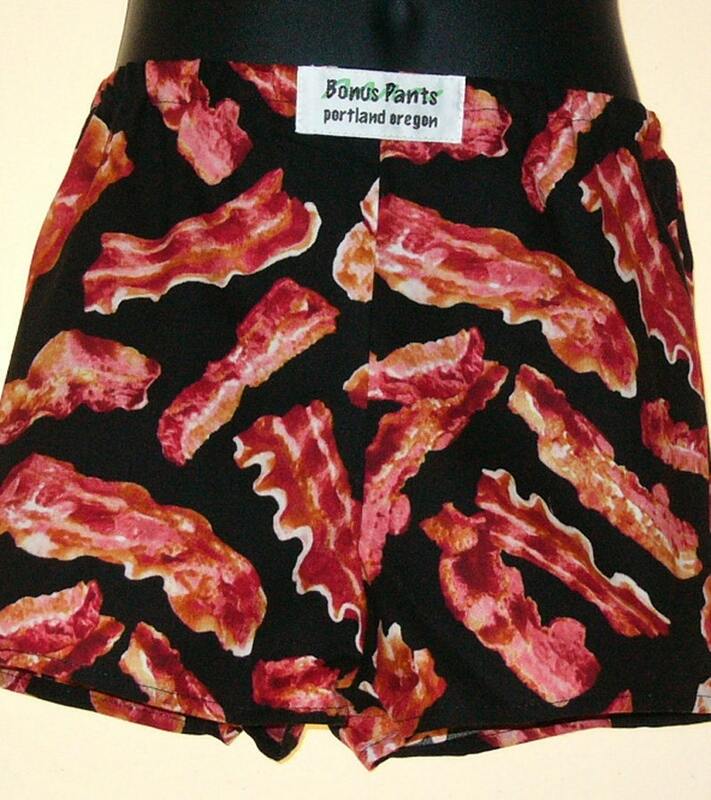 These are some quality underpants... and everything (including clothing) *is* better with bacon. Bought for my son and he loves them!! Well made!